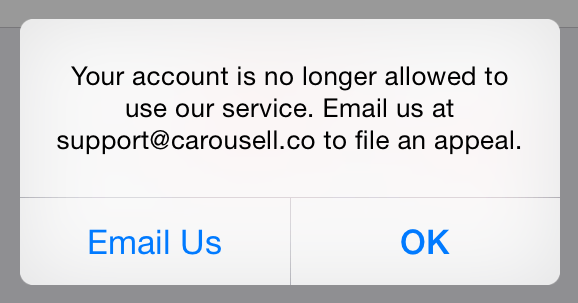 If you've tried logging into Carousell and it keeps showing you an error, it is likely that your account has been suspended. The main reason why your account has been suspended is because you have violated our Community Guidelines in one way or another. You could be a repeated offender or your account is found to be created for the sole purpose of selling prohibited items. You could also be under investigation due to reports of misconduct from other users that is against our Community Guidelines. 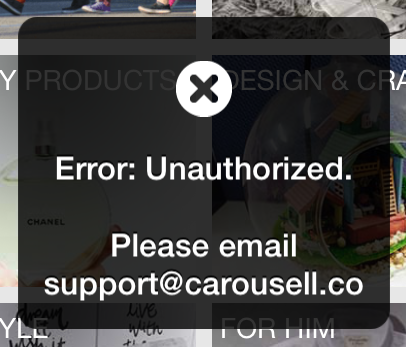 An email is usually sent following the suspension stating the reason. You can follow up with us from there if the suspension reason is unclear or if you have any further enquiries .